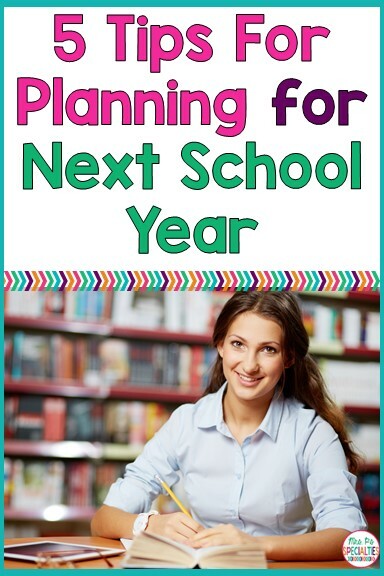 5 Tips Planning For Next School Year | Mrs. P's Specialties! It's the end of the year and your drowning in end of the year duties and paperwork.... BUT you can't stop thinking about the excitement of next school year. I get it- you are not alone! 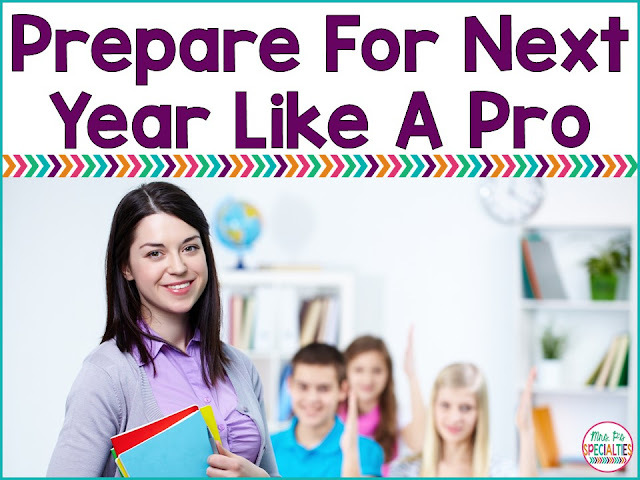 Here are some tips for getting prepared for next school year. Did my decor hold up? What would have made centers run smoother? Did I have to keep moving something because it was in the way? Does the room look too cluttered or visually busy? Did I always have to get up from group or a lesson to get something? If you have thought of something that could use some tweaking, NOW is the time to start coming up with a solution or plan. You might even want to write your thoughts down so when it gets down to the end of summer you can remember them. Research is clear... building in movement leads to better learning. Sounds great, right?! It can be tricky to think of how it will look in special ed. Many times our students get revved up easily which can make teachers skeptical about adding it in to the day. Look around your room... what has students' names on it? If you are planning on using the same visuals, posters or decor, make a list of what needs to be made or reprinted with your new class list. For example, we use a question of the day poster every day. It has the students' names on it, so we wrote a new one and have sent it to be laminated so it will be already when we return. Get as much of this ready as possible to free up time during the first couple of weeks. You will be sooo thankful that you did!! 5) Gather All The Info!! Now is the time to talk to the past teacher and therapist. 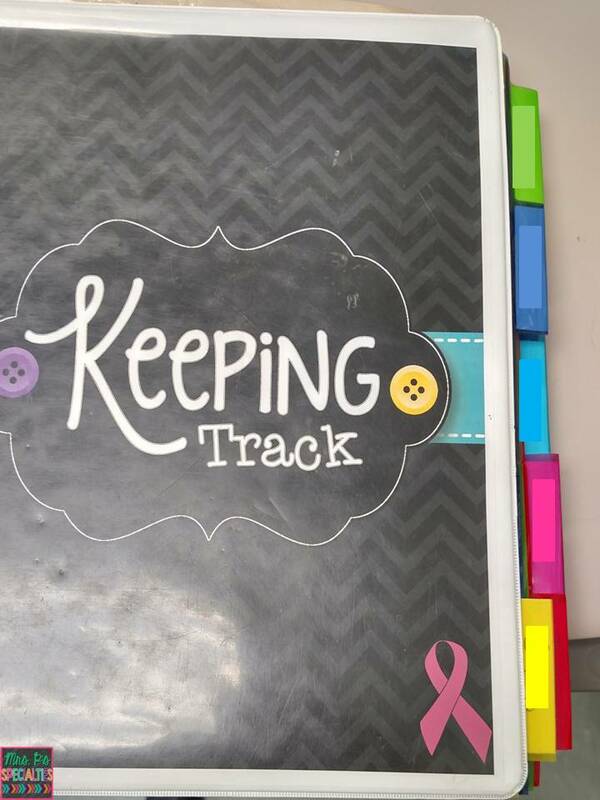 Ask about current levels, behavior supports, trigger words, phrases that are helpful, routines, etc. Ask to get a copy of the IEP or access to take some notes. Don't wait until administration and secretaries are swamped to make the request. Learn more about our data and work centers HERE. Don't forget to pin this post so you can refer back to it! !